Jennifer Jason Leigh, Matthew McConaughey, Eddie Marsan et al. DVD: 111 min., Blu-ray: 111 min. 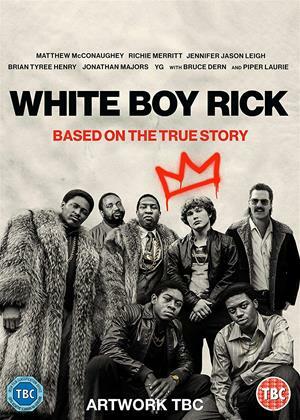 Set in 1980's Detroit at the height of the crack epidemic and the War on Drugs, 'White Boy Rick' is based on the moving true story of a blue-collar father and his teenage son, Rick Wershe Jr., who became an undercover police informant and later a drug dealer, before he was abandoned by his handlers and sentenced to life in prison.